Instagram co-founders step down - what does this mean for the photo app? The creators of Instagram have called it a day. The co-founders of Instagram have decided to call it a day, with Kevin Systrom, Instagram Co-Founder and CEO, confirming the pair's departure in a blog post. While there's not been any confirmation of issues behind the scenes, the sudden departure will raise eyebrows. Their farewell letter doesn't go into much detail, just charts just how far the social network has come. "Mike [Krieger] and I are grateful for the last eight years at Instagram and six years with the Facebook team," the post says. "We’ve grown from 13 people to over a thousand with offices around the world, all while building products used and loved by a community of over one billion. We’re now ready for our next chapter. "We remain excited for the future of Instagram and Facebook in the coming years as we transition from leaders to two users in a billion. We look forward to watching what these innovative and extraordinary companies do next." As for what the Systrom and Krieger will be doing, it's unclear but the post does mention that they want to "explore our curiosity and creativity again" and they want to "understand what inspires us and match that with what the world needs". Expect some sort of real-life filter to protect us all from the onslaught of fake news, then. What does this mean for Instagram? Having the creators of Instagram step away from the company won't mean anything in the short term, but the lack of protection that they (almost definitely) offered the site will mean changes. 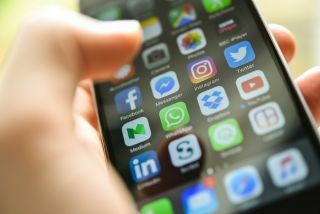 We've already heard rumors (albeit ones that have been denied) that the photo app is looking into ways of sharing images from people and companies you don't follow on the site. If this happens, then it would fundamentally change the way the app works and turn it into a Facebook/Twitter lookalike. What we would like to see is it doubling down on the image side of things (obviously), making the site the ultimate place to show off your photograph skills and not just a place where you stick a filter on your morning cup of coffee. The key to Instagram is also its younger base - but if Facebook want to push the users on the service from 1 to 2 billion, then this will inevitably erode.